While I was in Queensland taking a break, I received my Organelle from Rhythm Active. It’s a new synth by Critter and Guitari that has the same form factor and maple keys as their Pocket Piano range, but has the guts of a small computer, running Linux and PureData. With it you can customise and create new music patches. The Organelle comes with a nice array of sample patches, a couple of synths, a drum machine, samplers and other things, to really give a taste of what the Organelle is capable of achieving. 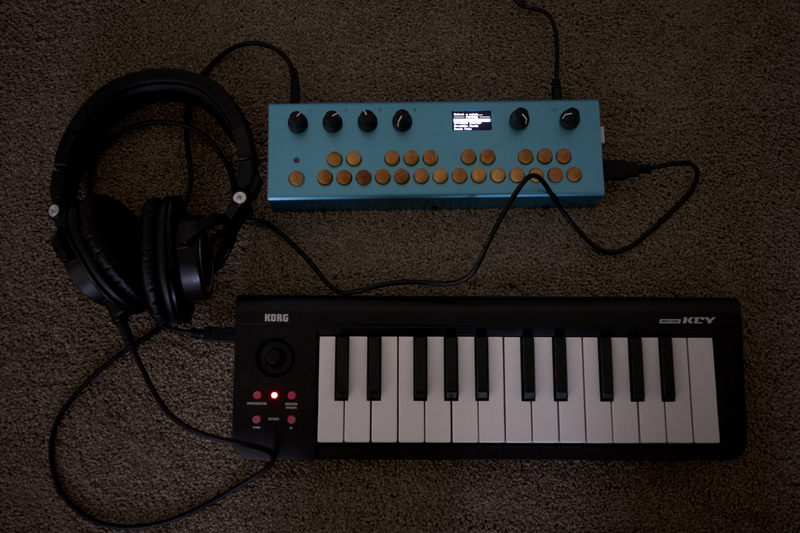 Plus I can hook up my Korg midi keyboard, take the keyboard up or down an octave and get some organ-like effects buy having two sets of keys in play. I’ve only glanced under the hood, but PD looks fairly intuitive enough to pick up how to program or design new patches, so I’m looking forward giving this a go over the weekend. But there are a stack of patches that I plan to check out here. This entry was posted in music and tagged critter and guitari, mail, music, organelle, rhythm active. Bookmark the permalink.